Kendrick Lamar has the Outkast factor. I can listen to his songs, intently focusing on the lyrics while getting lost in the scenes he vividly describes, or I can zone out, not pay attention to what he’s saying and dance to the beat while singing along with the incredibly infectious hooks. 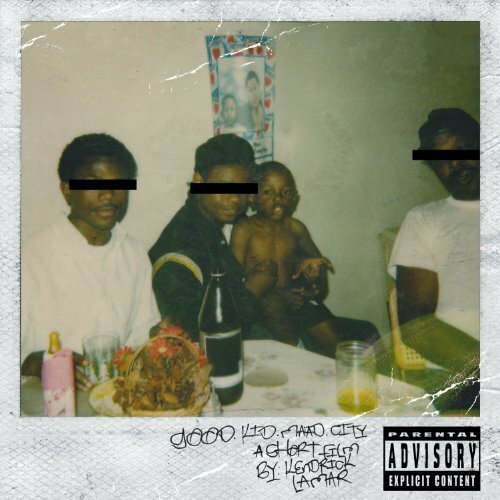 GKMC feels like 3 Stacks and Big Boi rolling through Compton with Caine and O-Dog from Menace II Society. Vote For M.i in the TDE Feature Contest! Whether you realize it or not, this is a pretty big deal folks. M.i is a finalist in the Top Dawg Entertainment Feature Contest; emcees across the country have sent in tracks in the hopes of collaborating with an artist from the T.D.E. roster. According to what I’ve read, each artist was to submit a hook and verse using one of two instrumentals provided by the Top Dawg in-house production team. The winner will receive a collaboration with Kendrick Lamar, Jay Rock, Ab-Soul or Schoolboy Q.
I’m not surprised to say this, but M.i is one of five finalists left in the competition. Top Dawg Entertainment is one of the strongest forces in Hip-Hop right now; it seems as though everything they touch turns to gold. I know I’m going to do my part and push the button to vote. You could be helping a terrifically talented artist get the recognition that he deserves. You can listen to the track below, and you can listen to the other artist’s tracks here as well as vote. 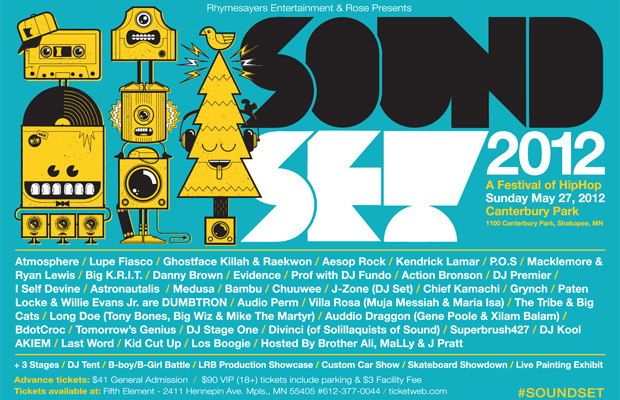 That’s right folks; The Paid Dues Festival has released their official lineup for the 2012 concert series. 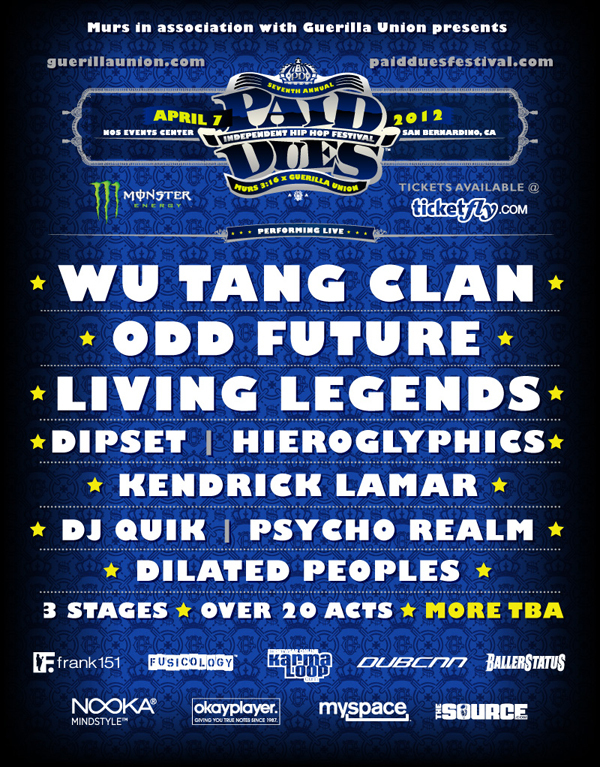 There are definitely some heavy hitters on this bill; those who attend can expect to see Wu-Tang Clan, Dilated Peoples, Kendrick Lamar and The Living Legends, just to name a few. The one thing that I love about festivals like Paid Dues and Rock The Bells is that they do a great job of highlighting acts on both coasts of the country. Even though I’m not huge on acts like Odd Future and Dipset, I would still love to make a trip out to California to see this epic bill of artists because honestly, Hip-Hop festivals are for the children.